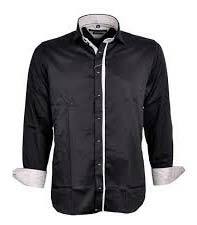 Our company is an eminent Manufacturer & Supplier of Men’s Party Wear Shirt from Uttar Pradesh, India. Our Party Wear Shirt is widely appreciated for its high comfort factor, quality stitching, and amazing prints. We are capable of delivering small or bulk orders of Shirts all over the world. Customers can acquire a wide range of Men’s Party Wear Shirt from us in various prints and designs at most affordable rates.